Ask 10 people what they love about Austin, and you’re sure to hear from at least five of them that the food scene here is on fire. 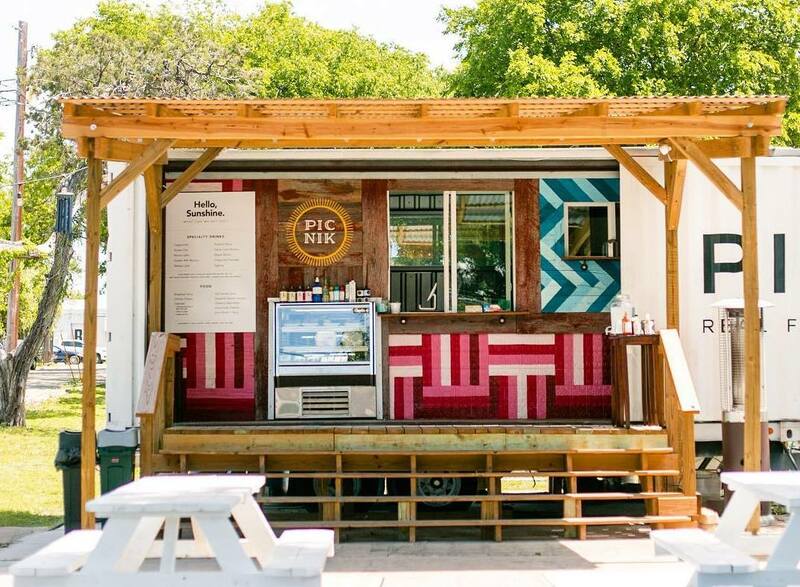 From world famous BBQ to local farm-to-table meals, Austin serves up fine meals in every nook and cranny of the city. But what if you’re not trying to chow down on truffle fries and greasy tacos today (or ever)? Luckily, there are tons of healthy options to keep your body and belly happy. 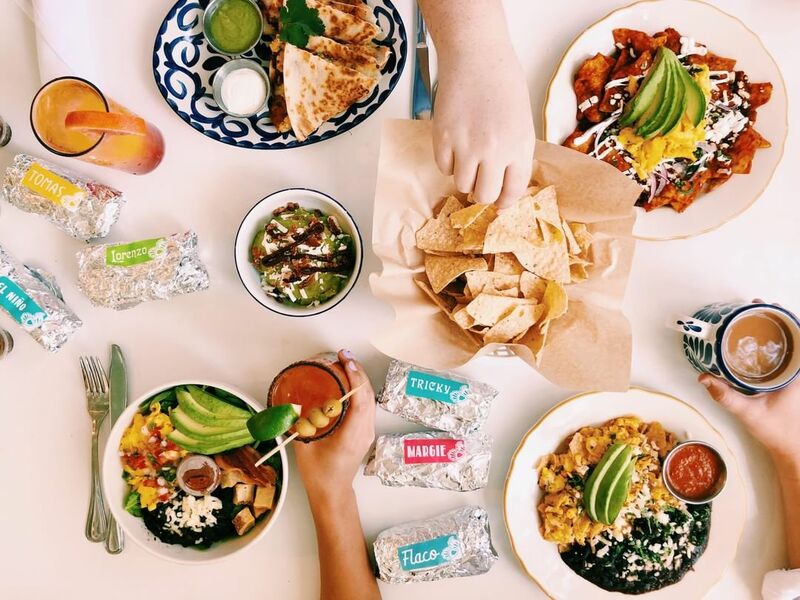 Allow us to help you avoid restaurant indecision with this round-up of the healthiest restaurants in Austin. Away we go! Do you ever crave a wholesome home-cooked meal that’ll inevitably bring on those warm fuzzy feelings? Look no further than Casa de Luz on Toomey Rd., where skilled chefs serve up unique, vegan, organic, and multi-course meals everyday. Walking down the path to the front door is a zen experience in itself, but after eating their whole fare, your body will thank you. Come here for veggies prepared in new ways, extra healthy spins on everyday faves like tacos, and ‘vortex activated water’ on tap. 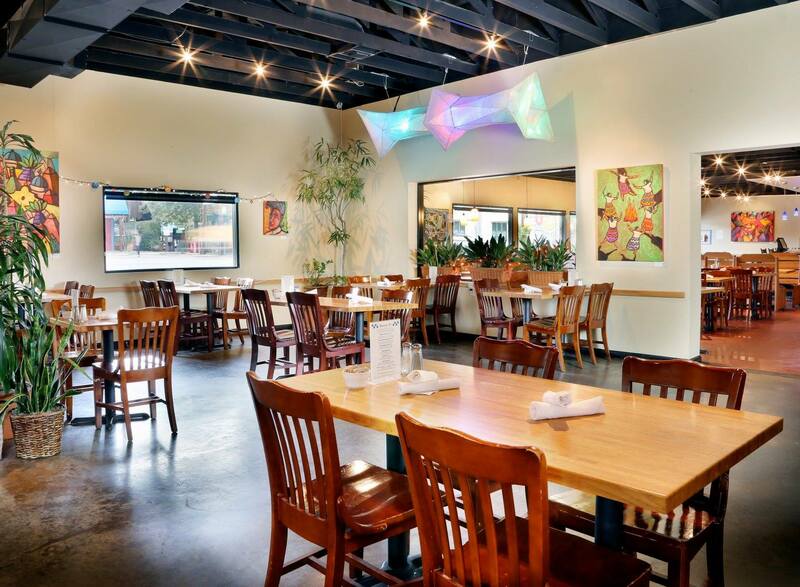 Bouldin Creek on South 1st St. serves up some of the best vegetarian food in Austin — breakfast, lunch, and dinner. Don’t believe the hype? Some menu items like The Renedict (eggs Benedict but vegan or vegetarian) sell out before the breakfast hour is even over! But staples like breakfast tacos and the Veggie Royale Burger are always there for you. So stop by and enjoy the delights of a meat-free meal that will leave you satisfied. The ever-changing local art hung all around the restaurant is a nice touch, too. If you’ve got plans for the first Sunday of every month, you should reschedule them. That’s when Mr. Natural serves up a mean, clean vegan brunch buffet (but only at its East Cesar Chavez St. location), and it’s a must-try. 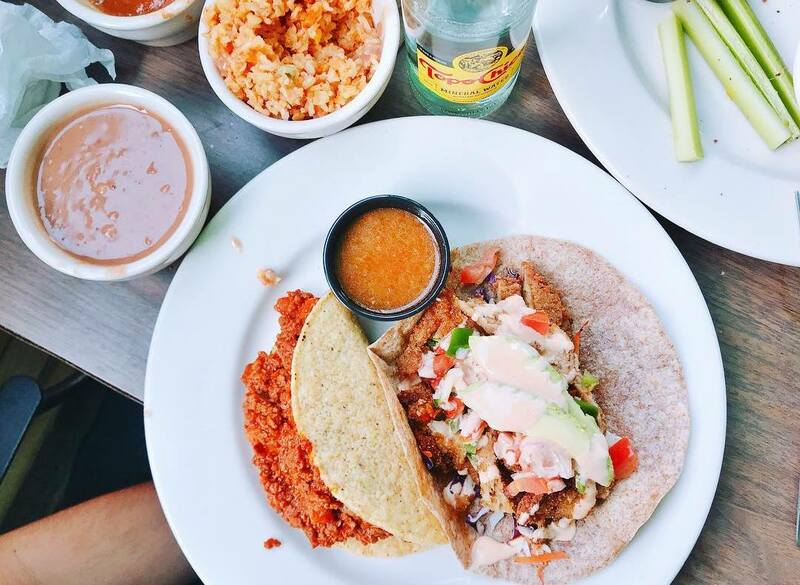 Beyond Sunday brunch, Mr. Natural operates with a lunch counter and dinner menu of Mexican fare like enchiladas, tostadas, and tacos (minus the grease and with extra veggies). Not sold yet? The 100% vegan bakery case rivals that of your typical Mexican panaderia. Needless to say, it’s time to get that pan dulce you’ve been dreaming of. You can also find them on South Lamar. Whip out your peace fingers. 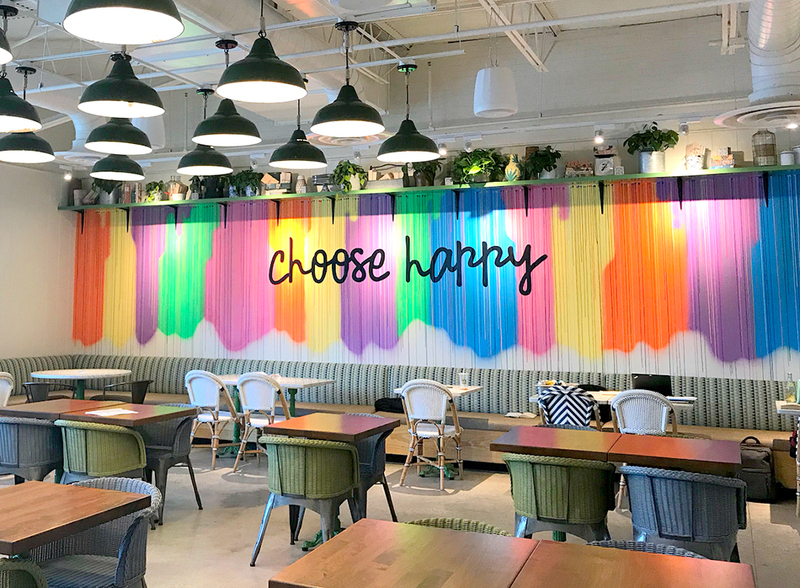 Flower Child at The Domain and downtown is a hot spot for salads, soups, mix-and-match bowls, and wraps of the truly healthy variety. This is the perfect place to go on a day where you don’t have to do anything but enjoy the sunny patio and your Mother Earth Bowl. Like any healthy eatery, the dishes here are highly customizable, so you can order exactly what your inner flower child is craving. Picnik fits the bill if you’re looking for paleo dining. Priding themselves on real food, Picnik serves up dishes like the Southwest Hash in the AM and Eggplant Rollatini by night. Plus, you can count on lots of butter coffee (they’re the butter coffee connoisseurs around here). 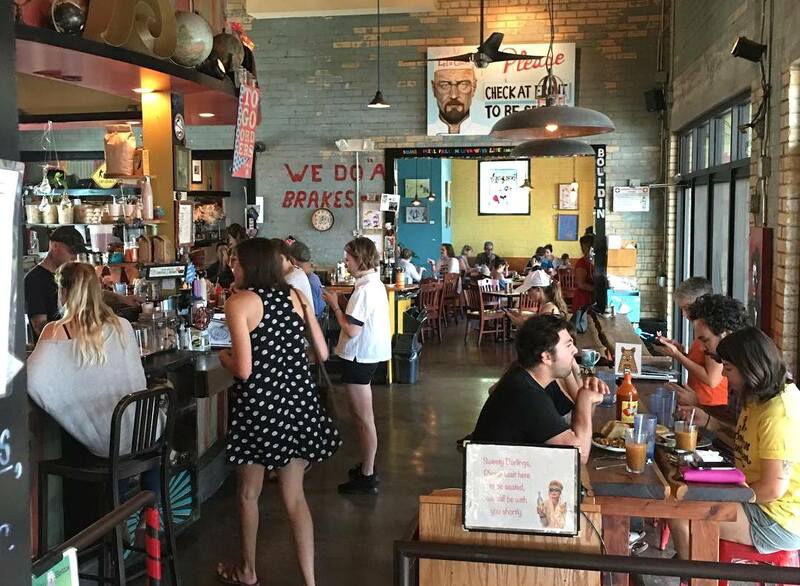 At either of their South Austin trucks or their Burnet sit-in restaurant, you’ll find lots of real (and local) foods without any gluten, corn, peanut, or soy products. Ask a vegan on a date and they will want to go to Counter Culture on East Cesar Chavez St.. This 100% vegan eatery is also 100% delicious and 100% cute. Their daily ‘cheeze’ specials rival any gourmet cheese board, and their daily pizza specials are so creative you might need to try them all. Buffalo Chik’n Pizza, anyone? There’s a reason Counter Culture is named the best place for vegan comfort food in Austin — it’s because it is. The real bonus here is that since it’s all plant-based, you leave feeling like a million bucks (even if you ate a burger and cheezecake). Let’s get back to true food, shall we? 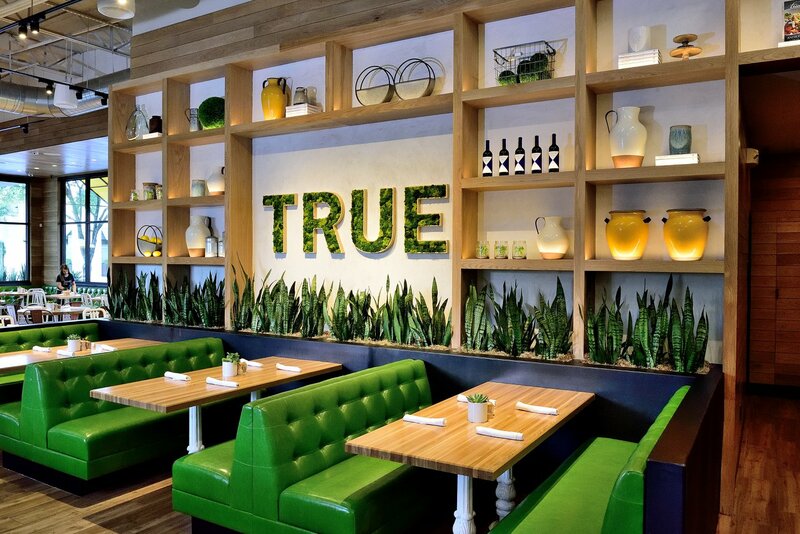 In a world of too much junk food, True Food Kitchen in Seaholm and The Domain is changing the game. You can literally see the ingredients—crates of fruit, cartons of eggs, bunches of greens—going directly onto your plate from the in-house kitchen. This is as real as it gets, and it’s also really healthy. No matter what your diet, something here will suit your mood, like the vegetarian Red Chili Noodles or Sustainable Sea Bass with broccolini and peas. If you’re a fan of superfoods, make Curcuma your next stop. 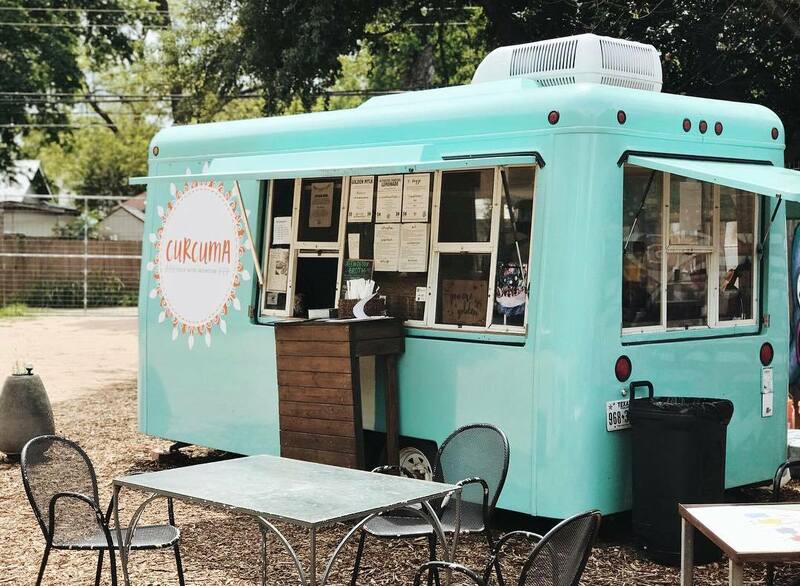 This healthy hot spot serves food with intention from their food truck in East Austin, and we hear their Golden Mylk (a turmeric drink) is pretty fantastic. 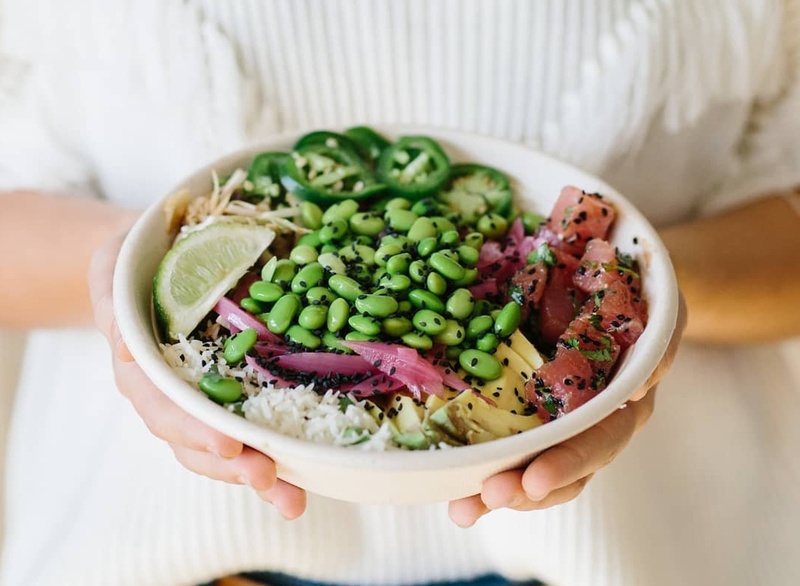 From 100% plant-based ingredients, the chefs here whip up dishes like the Spirulina Pesto Zoodle Bowl along with a drink menu full of adaptogenic shots, smoothies, Mylks, coffees, and elixirs. 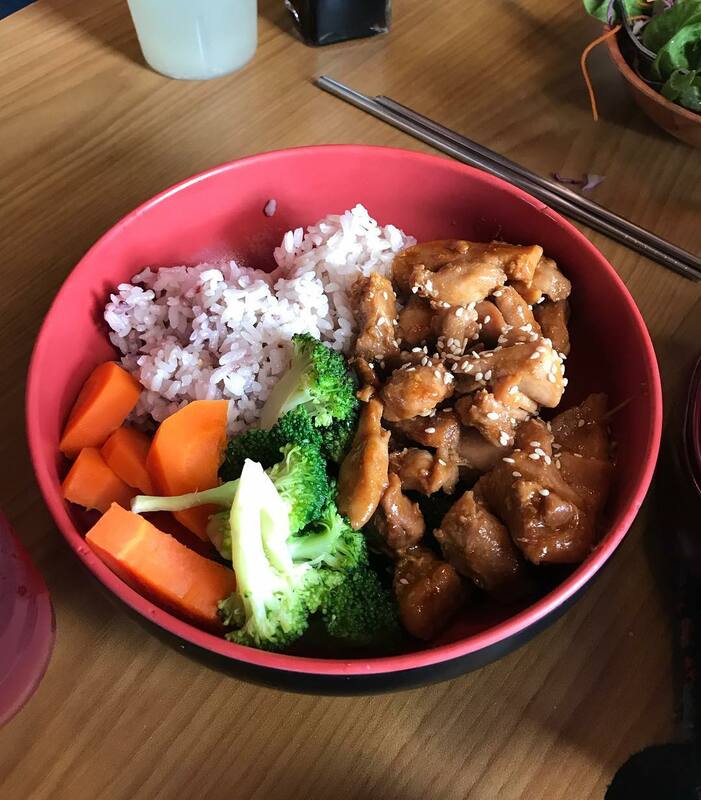 There are lots of restaurants in Downtown Austin, but Koriente stands alone as the healthiest spot for Asian cuisine. This eatery features an extensive menu of curries, bowls, and bibimbap that can be specialized however you like. Want brown rice, tofu, and extra sprouts on your Obake Bowl? It’s their specialty. Plus, the chefs here are sodium- and oil-conscious, so the fresh veggies are the star of every dish. Healthy eating doesn’t have to be expensive or complicated. 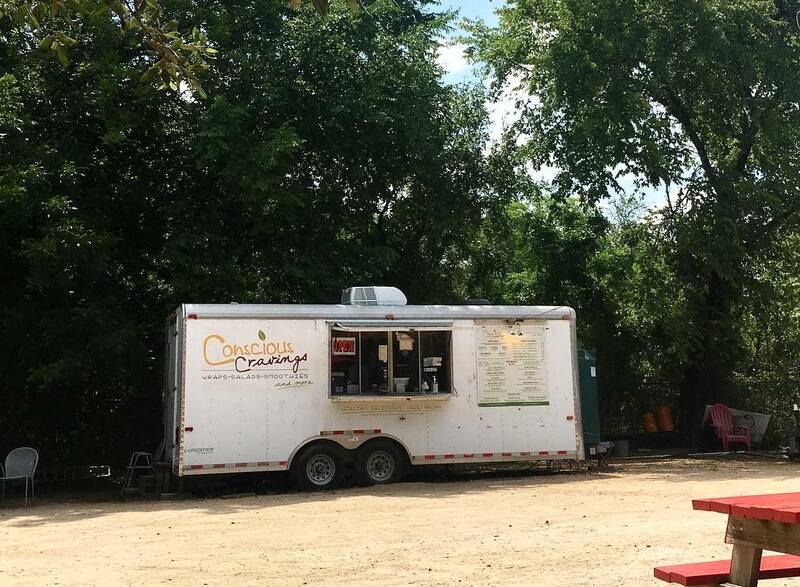 Conscious Cravings proves that by serving affordable, good-for-you meals out of their two food trucks in town. 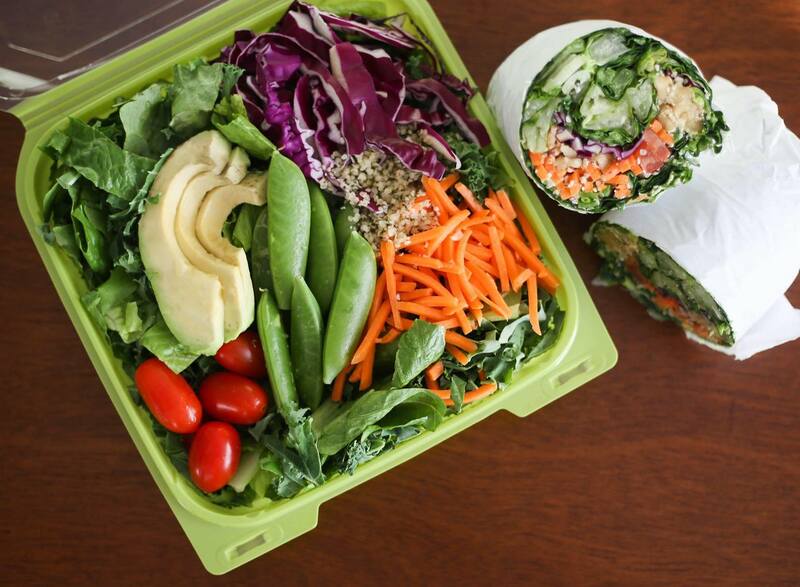 With fresh and 100% plant-based wraps, salads, and smoothies, they blow other lunch options out of the water. Plus, not a bit of their food is fried, yet the BBQ Seitan Wrap still tastes rich and delicious. Take a lunch break at their truck on South 1st St., or find them in Mueller seven days a week. You’re in for a day of good eating. Fresa’s is an OG Austin restaurant that’s one of our faves. It’s the place to go if you’re craving Mexican flavors without the added grease or junk. All of their meals are fresh (and healthy) with specialties including wood-grilled veggies, chicken al carbon, and the most amazing Brussels sprouts you can imagine. Head over to their South First location where you can sit outside or grab a quick to-go order from their 9th & Lamar spot. 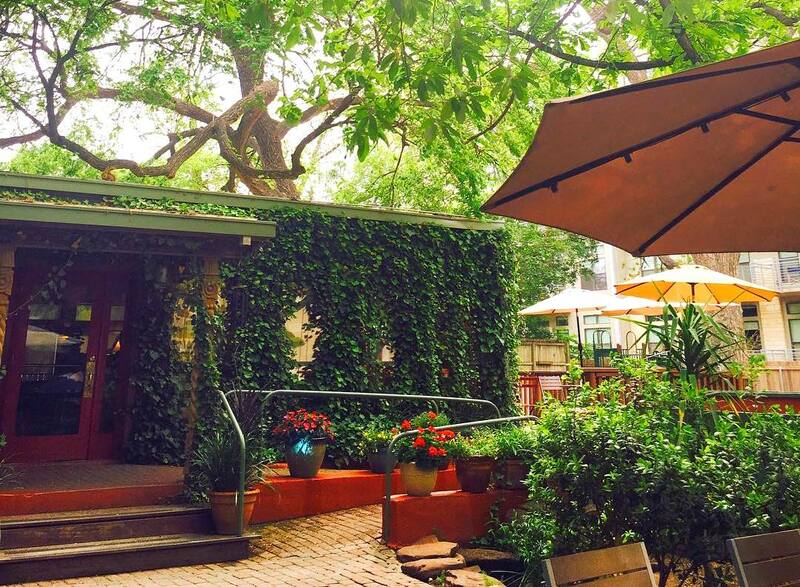 Blue Dahlia is one of the best cafe-bistros in Austin. It’s your go-to for fresh, simple + local salads, sandwiches, and cheese boards that put all others to shame. They also serve breakfast all day (always bonus points in our book). Sit on the patio and people-watch at their East 11th location or enjoy the yummy food at their Westlake shop. 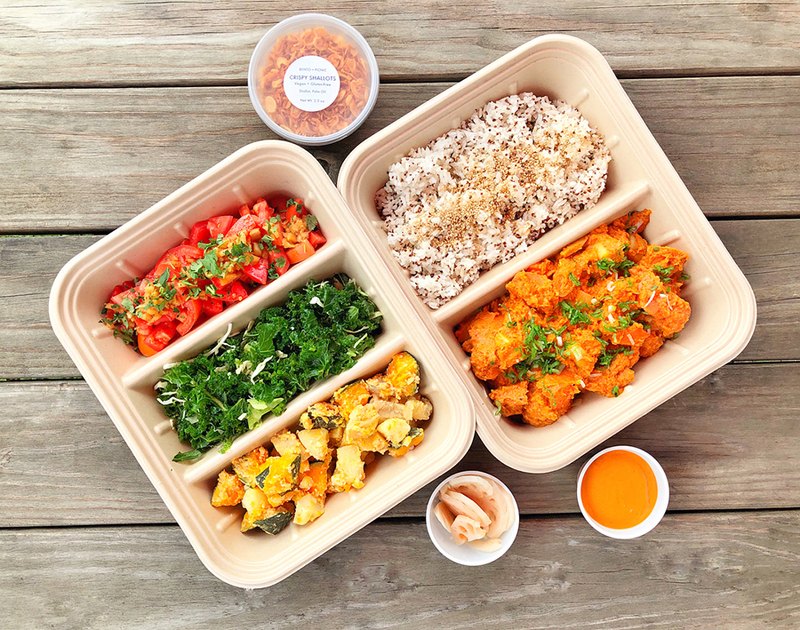 Both are cute, reasonably priced, and always deliver healthy, delicious meals. Fitt Tip: don’t leave without trying a macaron at some point. 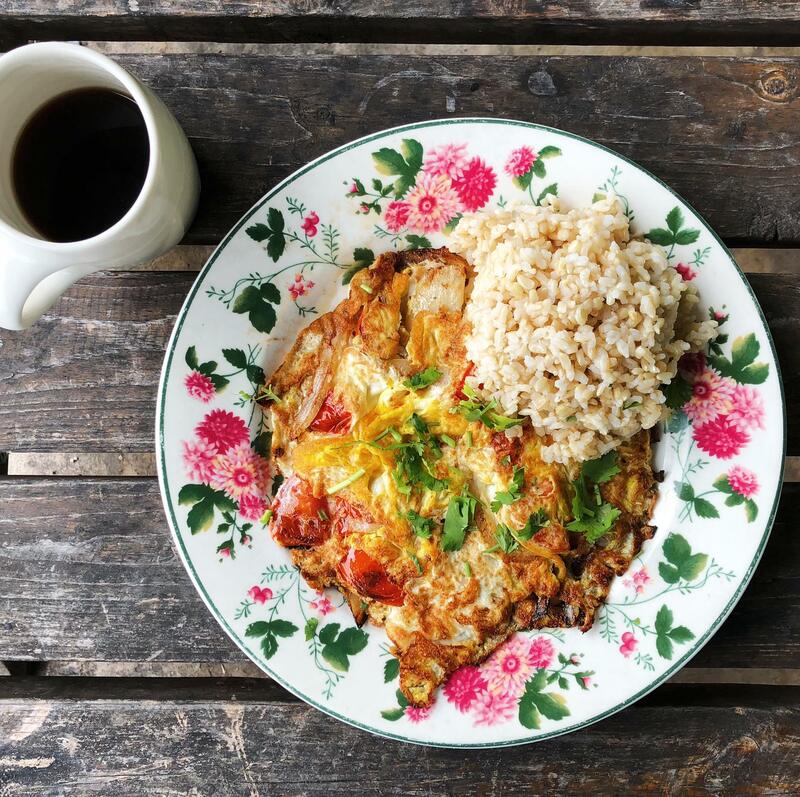 The Bouldin neighborhood is filled with amazing eateries, but Thai Fresh is definitely one of our faves for super-healthy selections. Everything at this coffee shop/gluten-free bakery/happy hour destination is made with simple, fresh ingredients. And it doesn’t hurt that this place boasts all the glory of Thai cuisine without the added sodium. 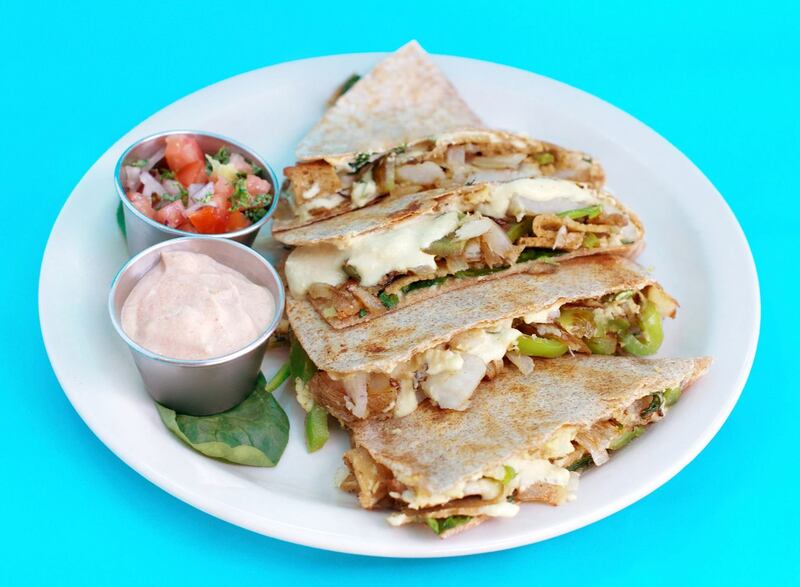 There are lots of options for vegetarians, and even the Pad Thai can be veganized! If you’re in on the weekend, they have an amazing brunch menu as well! 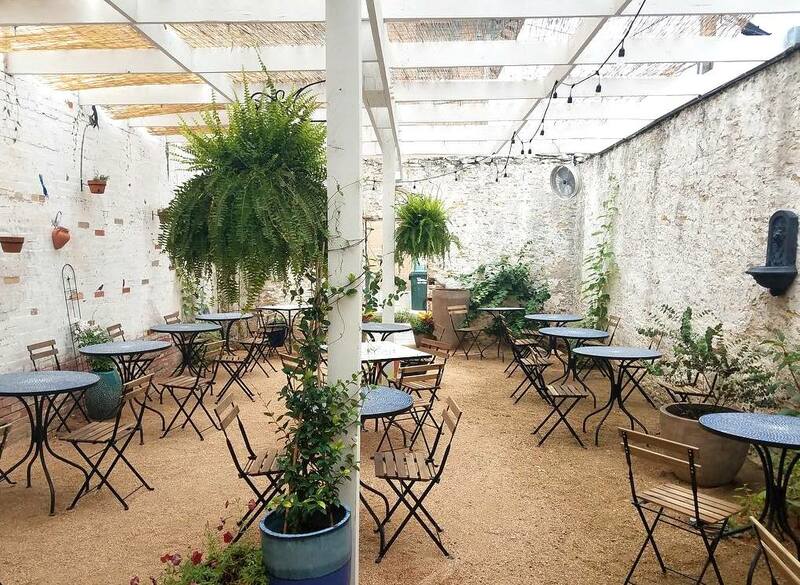 Head over to the famous South Congress to check out the food at Café No Sé. 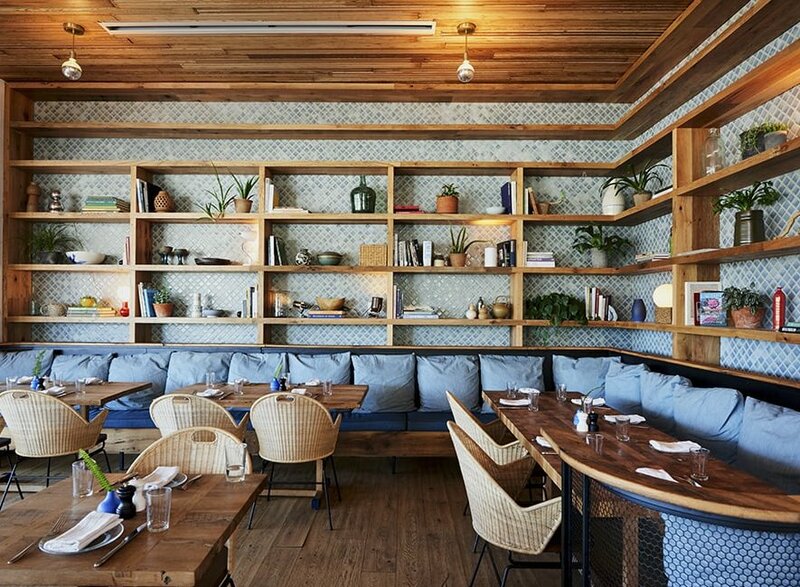 It sits inside the swanky South Congress Hotel and serves breakfast, lunch, and dinner creations to die for. You’ll find a menu packed with innovative takes on healthy dishes made with the freshest ingredients. Think quinoa bowls, tuna poke, kale salads, and more. This is where brunch dreams come true! 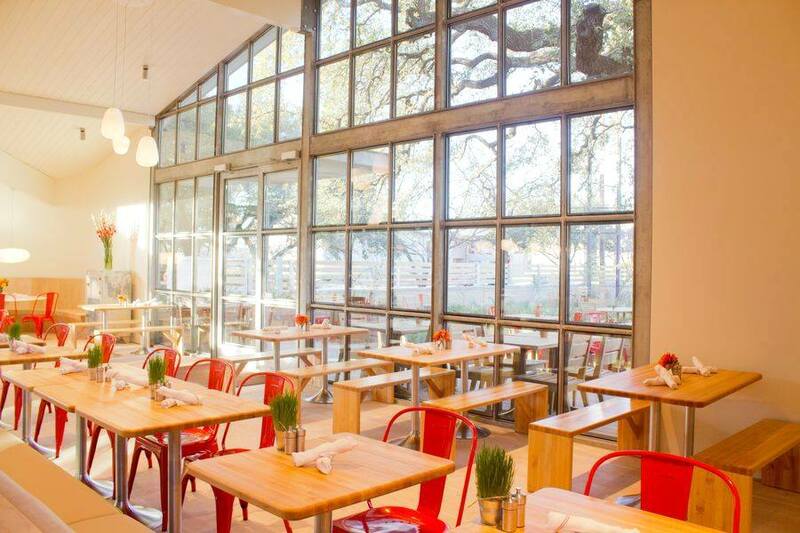 Vinaigrette isn’t a South Congress classic (yet), but they’ve already made a big impression. The menu features unique salads, sandwiches, and soups with many of the ingredients sourced from a farm not far away in Bastrop, TX. They even have a special brunch menu with Austin faves like huevos rancheros, a kale mary, and a make-your-own mimosa. You can feel good about what you’re eating, but also what you’re not eating — all food waste returns to the farm to feed the animals and fertilize the crops. Take a trip around the world in the form of a tea party! 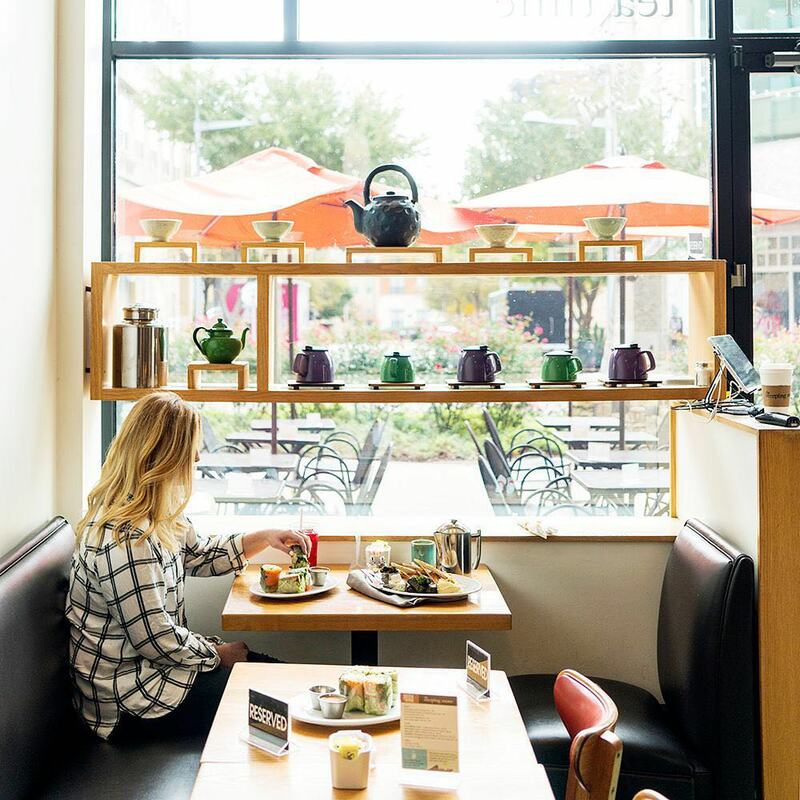 At The Steeping Room, the tea menu is longer than the food menu, but that’s not to say the food menu is lacking. They serve up meals made with great ingredients like natural meats, organic dairy, cage-free eggs as well as options that are gluten-free, vegetarian, and vegan. Head to the Domain or North Lamar tea rooms and bring a friend — there’s plenty of tea for two. Mother’s Cafe in Hyde Park is the spot to feast with your friends while filling your belly with non-GMO, socially-responsible eats. Plus, in a time where it seems like no one serves free chips and salsa anymore, Mother’s comes through with, well… free chips and salsa. And no matter your dietary needs, you’ll find something to suit your taste buds. The gluten-free spinach omelette with sautéed mushrooms and white wine is pure decadence, while the vegan banana walnut pancakes (topped with vegan margarine!) will please your sweetest tooth without the guilt. Bento Picnic on Cesar Chavez is the cutest healthy dining experience you can imagine. Each fresh, seasonal, plant- based, and non-GMO meal comes in a bento-style tray that separates each part of your customized meal —- and, as you’ll soon see, it’s adorable! Not only is this restaurant healthy, but each meal supports Mealshare, a non-profit that provides meals for youth in need. 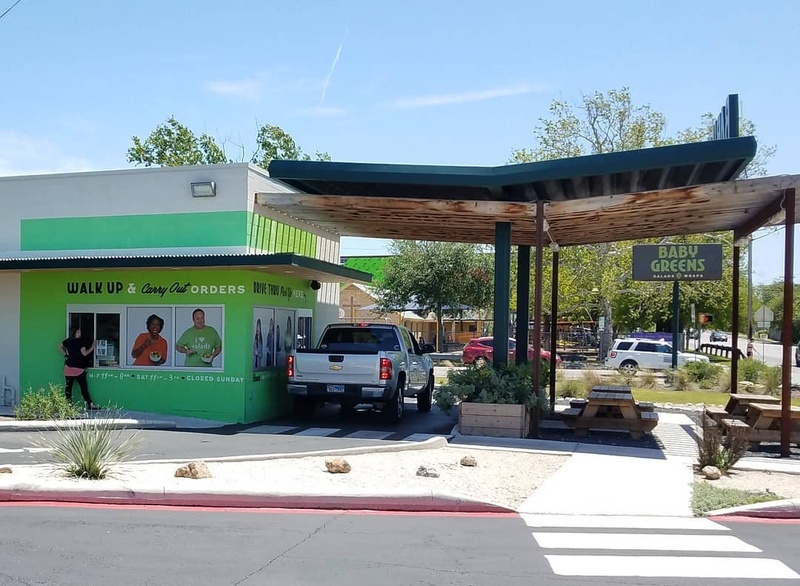 If you’re looking for a good-for-you meal on the go, you can also find their grab and go kiosk at Austin Boulder Project. Honest Mary’s is out here #keepinfoodhonest, and they are doing just that. Nom on all of the grains, veggies, and protein options they’re dishing out. And if you’re having trouble deciding, you can’t go wrong with their signature bowl: you get French green lentils, sweet potatoes, homemade spicy peanut sauce, and a veggie confetti of local microgreens all in one dish. THIS is what you need midday, and if you’re up at the Arboretum give one of these healthy meals a taste! Think of this place as the healthy version of your typical fast food drive-thru. There are no gimmicks, just honest, healthy food that caters to vegetarians and vegans (but they do serve meat, too). Stop by for salad and wrap options that are all made with fresh, chopped veggies and dressings that are made in-house.The North Austin joint also caters, so let your office manager know! 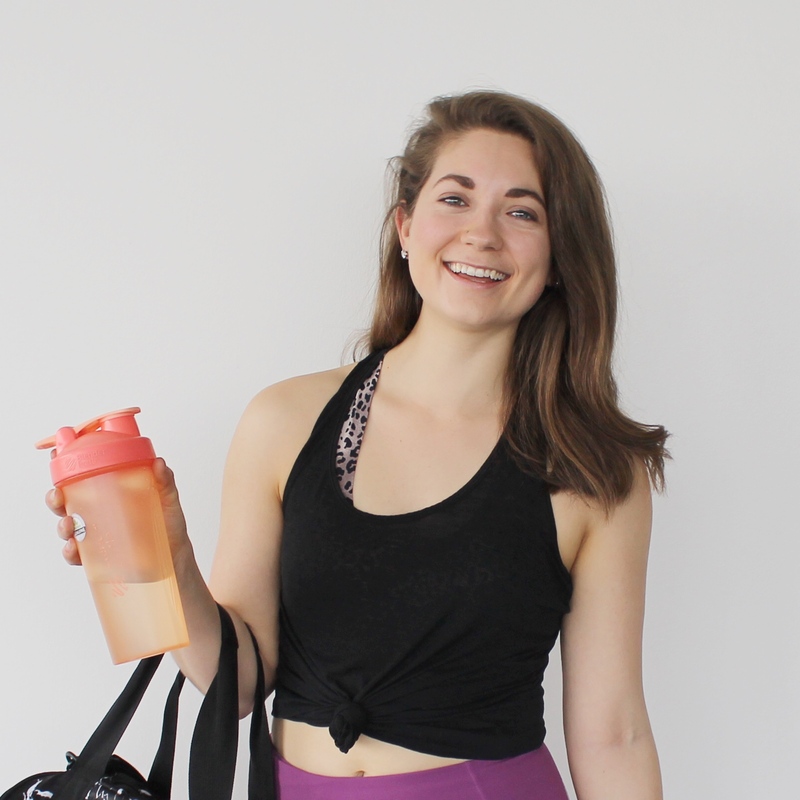 Fitt Tip: try Sharon’s Wrap — it’s a must-order.